The rumblings are becoming louder. The cracks are beginning to give way. Many bank CTOs are worried to face their worse nightmare – things deep down are not robust and many a haphazard bandage is beginning to come off and it hurts when it costs much. Yes we are talking about the Core bank. A lot of airtime and money has been spent on Digital – restructuring, renaming and rephrasing strategies and systems to reach out when and where the consumer needs you or even before she needs you. Still, the feeling is there - deep down things are not good. For those who challenge the norm, disruption comes easy – and why not from within. 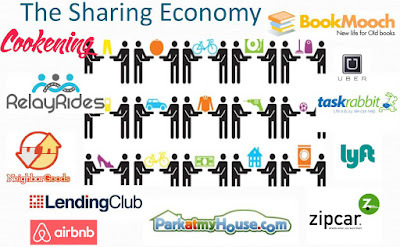 There has been a disruption in the last few years by the “Sharing Economy”. Companies like Airbnb, Lyft, P2P lending platforms and many smaller players are allowing people to share and monetize their otherwise superfluous personal assets. Notwithstanding their valuations these companies have had a serious impact on incumbents and are causing seismic shift in the consumer services space. Sharing has been prevalent in the industrial space too where heavy industries such as construction and agriculture sector have been leasing their unused equipment to peers. With the advent of the sharing in Consumer sectors, the concept has suddenly found a niche in the economy. How can we overlook cloud as collaborative space for companies who are trying to tackle common problems in their respective industries. Sharing has also reached the professional services industry where HR houses are exploring new ‘co-optive’ business model of placing “benched” employees of IT giants in smaller peers, sometimes even competitors. The financial services sector has seen a sharing upheaval in the p2p lending space and for banks to be able to compete with it, they need to explore their own sharing paradigm. An undeniable area where sharing can yield banks immediate results is the Core. 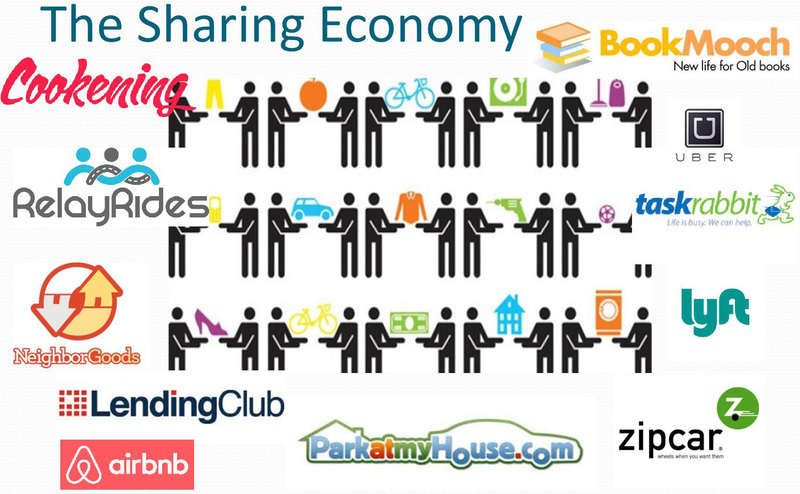 We at IDEALINVENT believe that “#ShareTheCore” applies to banks in the same spirit of the "Sharing Economy” these days. We all understand that most of what the Core does, including payments, is commoditized and the ‘Edge’ that banks have is more on the digital front. So, keeping in mind cost and other capital constraints, it is prudent for banks to look at “#ShareTheCore” as an essential strategy to stay relevant in disruptive headwinds. Who is #ShareTheCore suitable for? If you are a large multi-country bank dealing with multiple core banks even for similar geographies running huge costs. If you are a bank that aims to reach other geographies or start new business units across geographies with a common platform. If you are a bank that aims to act as an aggregator for core bank for other similar sized banks in your region. If you are a bank that aims to gain from sharing your version of the Core with other similar banks in your country to bring down the TCO manifold. Why #ShareTheCore is relevant now? A seamless multi-entity, multi-tenanted solution is what you need either on-premise or hosted to reduce your core costs across your units. Core bank costs typically come to 12% of your entire organization cost – it could be higher in highly automated countries (western economies) and lower where manual replacements are at play (South east Asia). #ShareTheCore can bring this down manifold if you are addressing this for multiple entities – either of your own or across banks. Middleware orchestration advancement and API libraries have matured a lot in the past decade bringing down orchestration costs. Digital / Channel differentiation has gained upper hand and the digital layer is on fast track which needs much of your valuable budget. Products have become simpler especially on the retail side - if the customer doesn’t understand your product chances are they wont sell. Pricing, risk, process and controls are the only edge banks have in an increasingly reducing margin game. #ShareTheCore can apply for 3-4 similar banks that are of similar size and similar business model in a certain country. It can also apply for a single bank having entities in multiple countries to share a single platform. The core will be the same for all and it will be a single version. However this singular core can handle different bank set ups (either hosted on a community cloud or on-premise). The core will provide service orchestration for each bank to plug in their (digital) customer service layer. Interfaces like KYC, credit scoring, Clearing, Tax - will be made available to all banks as a part of a standard package for a particular country and hence bring down the costs. Compliance reporting to FSA/ Central bank will be standardized and made available to all the sharing banks. How do banks benefit from it? Banks get a version exclusively for their group. This version will have all the ingredients they need and with the right next generation core banking vendor it will remove the need to buy a universal system at an exorbitant cost – many of whose modules are used. Banks will buy a license or own the code at a shared cost. Banks share customisation for the core – for any regulatory issues, clearing handoff changes, new changes to payments etc. So the entire cost of the core can be spread across participating players. Because there is a single version of the entire set, it makes for easy maintenance and upgrade. With a multi tenanted core the #ShareTheCore concept will allow banks to have complete distinction at the business layer in spite of sharing the underlying core platform. Banks can have a fully independent pricing, risk management and monitoring structures for all their services. The sharing economy has brought with it a tsunami of disruptive players but it also brings with it a change of mindset that incumbents can embrace and choose to “share” a ride on this wave instead of being overwhelmed by it. Lets pay heed to the rumblings. Change is difficult – not changing could be fatal.